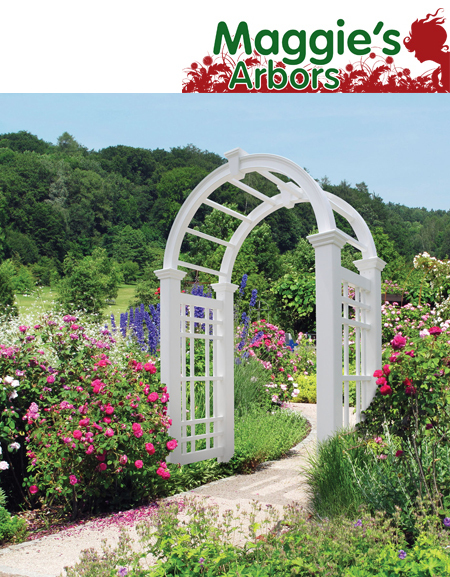 Our arbors add beauty and style to any outdoor space or garden. Place over a gate or walkway to add the feel of an English Garden retreat. They are constructed of Heavy-Duty virgin vinyl and easily snap together. It is designed with extra long posts to be cemented into the ground for a secure installation.